TEHRAN, Iran — In the frigid air of a Tehran winter, a mother of two stands in a long line of shoppers waiting for the chance to buy discounted meat at a store supported by Iran's government. "Yesterday, after nearly two hours in the line, the shopkeeper said: 'It is finished, try another day,'" Zahra Akrami said recently. "And now I am here again." Her struggle represents the economic paradox that faces Iran as it marks the 40th anniversary of its Islamic Revolution. 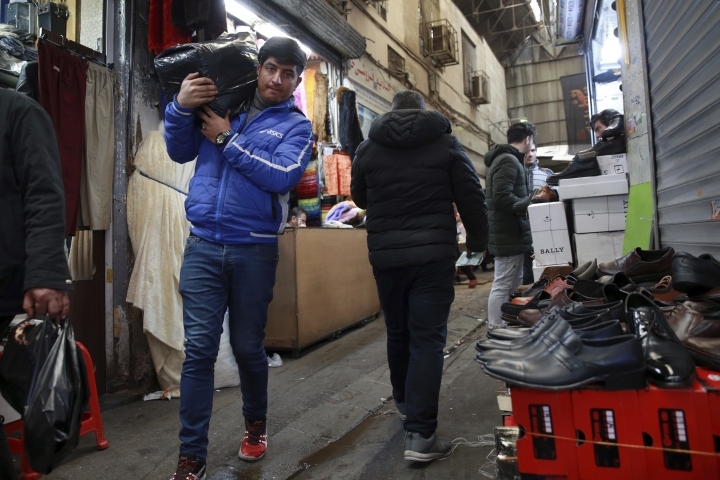 Despite holding some of the world's largest proven deposits of oil and natural gas, Iran has seen a return to long lines for food — a sight once seen during the 1980s, when it was at war with Iraq. Inflation continues to rise as its currency, the rial, depreciates. University graduates are unable to find jobs. Part of the economic challenges stem from the re-imposition of U.S. sanctions that had been lifted under the nuclear deal Iran struck with world powers. Those sanctions have returned after President Donald Trump decided to pull America out of the accord. But other problems persist, some dating back to policies instituted after the Islamic Revolution in 1979. That revolt wouldn't have been possible without impoverished Iranians rising up against Shah Mohammad Reza Pahlavi. His land reforms saw poorer rural residents move to the cities and become fresh recruits for the revolution. Ayatollah Ruhollah Khomeini's calls for supporting the poor struck a populist tone among the struggling masses, as well as with the leftists who helped overthrow a regime that spent billions on U.S. weapons. Immediately after the revolution, Iran nationalized its oil industry, its main source of hard currency. Its new leaders also seized industries tied to the shah or companies of those who fled the country. Shiite charitable trusts, known as bonyads, also amassed vast holdings, as has Iran's paramilitary Revolutionary Guard. Today, economists consider Iran's a "transition" economy, meaning it is shifting from state control to being driven by a free market. However, some firms that moved into private ownership have seen the businesses collapse, leaving workers without pensions and fueling some sporadic protests. 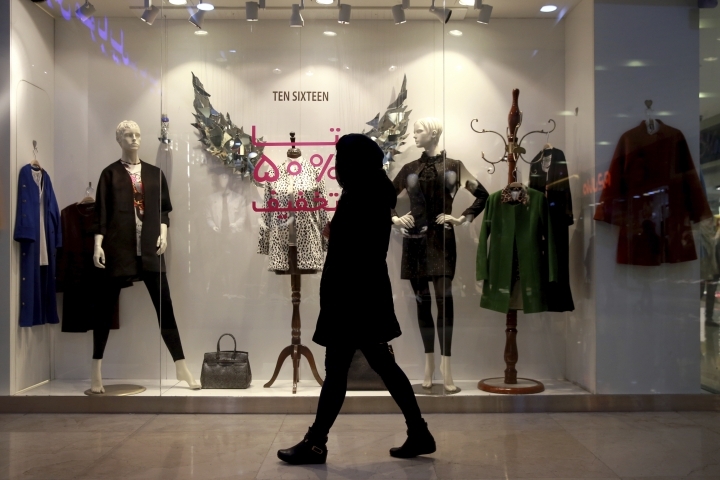 "No week comes to an end without the closure of 10 to 50 companies," said Masoud Khansari, the head of Tehran's Chamber of Commerce. "Last year, 800 out of 1,500 contractor companies in the oil sector collapsed." Iran's oil industry never fully recovered from a strike that paralyzed it before the shah's departure. Prior to the revolution, Iran pumped about 6 million barrels of oil a day. In January, it pumped 2.7 million. There are bright spots. 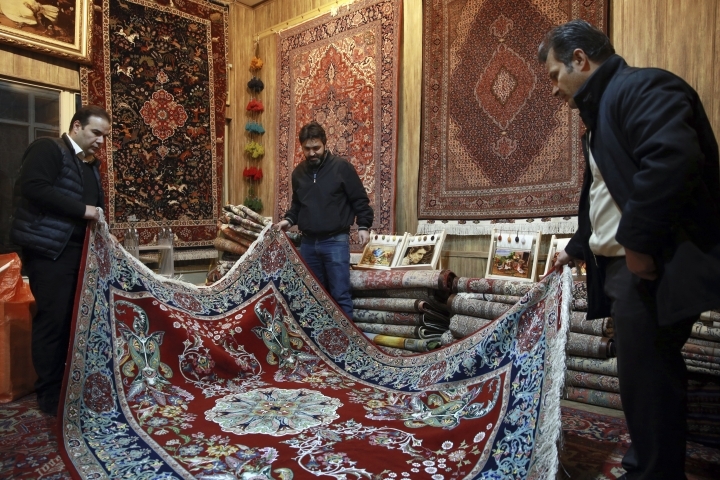 Iran's per capita income has more than doubled since the revolution to $4,838 in 2018. Iran has more than 100,000 locally trained doctors and 18,000 medical centers, and it produces 95 percent of its own medicine, according to government statistics. Life expectancy is around 75, as opposed to about 57 before the revolution. Nearly every Iranian can read. But for the average person, the only numbers they really care about are those at the cash register at neighborhood grocery stores. 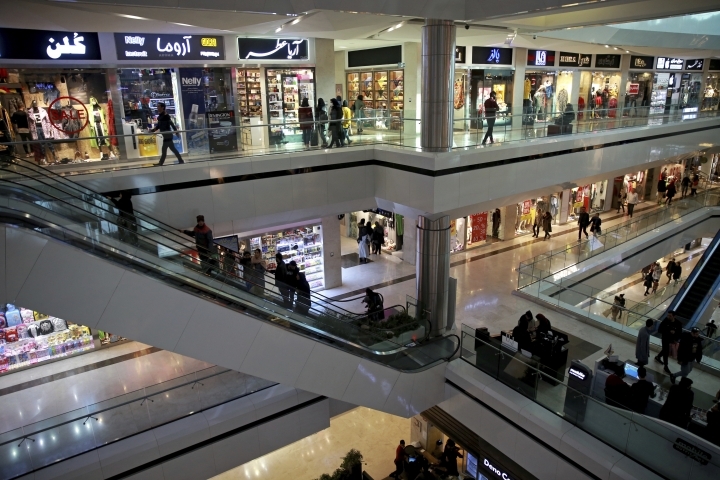 "Unfortunately, high prices have become crippling for people," lawmaker Mohammad Reza Sabaghian said. "Some goods have seen up to a 200 percent increase in prices." Staples like meat have grown more expensive. Lamb has reached to nearly $5 a pound, up from $3. Chicken is 70 cents a pound, up from 40 cents. Analysts suspect part of the problem may be the U.S. sanctions. As the rial falls, livestock breeders likely want the hard currency they can get selling the meat in neighboring countries. 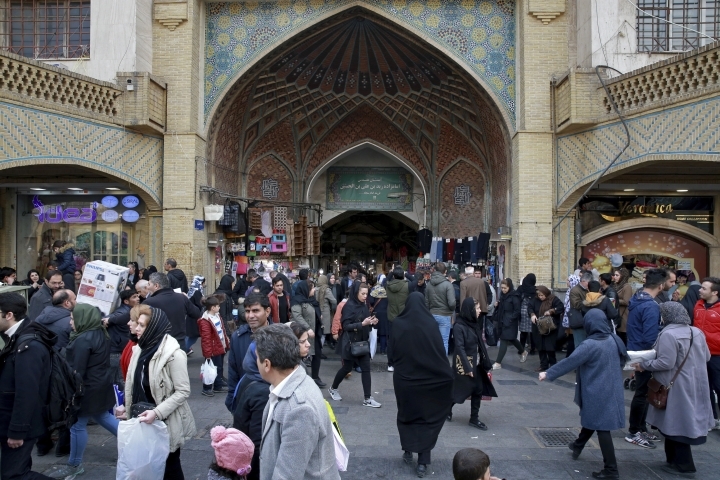 Iran produces nearly 90 percent of its domestic demand for meat, but it imports related items like medicine and corn. 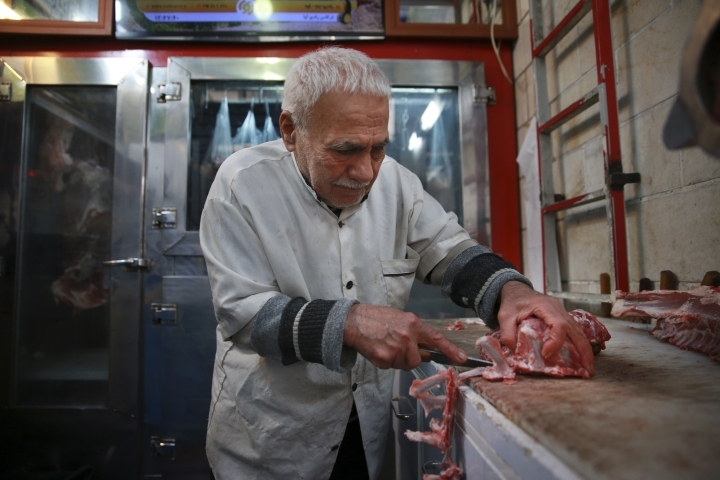 The meat crisis has become a cudgel for government hard-liners who are eager to weaken the administration of President Hassan Rouhani, a relatively moderate cleric within the theocracy. 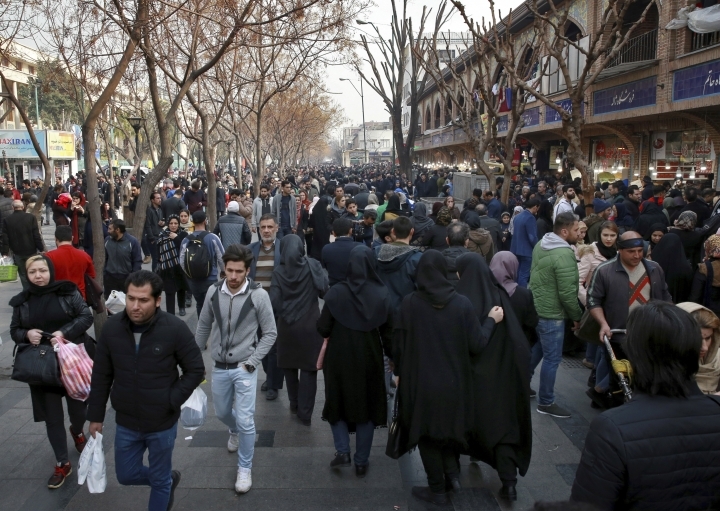 State television repeatedly broadcasts stories about long lines at government-subsidized grocery stores, with those waiting criticizing Rouhani's administration. "The bones of the people are shattering under pressure of poverty," said Kazem Sedighi, an adviser to Supreme Leader Ayatollah Ali Khamenei. In a dig at Rouhani, Sedighi added: "Economic problems exist, but some officials are careless about the problems." Part of Rouhani's problem is Washington and the sanctions it restored in November. Germany, France and Britain, which have worked to preserve the nuclear deal, announced earlier this month that they have established a new system so their companies can continue trading with Iran without incurring U.S. penalties for doing so. However, that system has yet to come into effect, and the strains on Iran are clear. Efforts to import government-subsidized meat from abroad through the military saw a cargo plane crash in January, killing 15 people. Yet the lines at stores continue daily. "Every day, the radio and TV are reporting about the trial of those officials who took public funds for themselves, but there's no change in our life," said Assad Azari, a 63-year-old retired teacher and father of three waiting in line. "We poor people shouldn't have to wait hours for two kilos (4.4 pounds) of budget meat."